How Do Catering Companies Throw a Super Sweet 16? When a little girl hits that special age of sweet 16, she can only think of one thing: her sweet 16 party! How can this party be as awesome as she truly wants it to be? If you are a parent preparing to through your little girl the party of a lifetime, you probably have a lot of questions and concerns. The good news is, you aren’t in this alone! Catering companies are experts at throwing an awesome sweet 16, and Prime Catering is here to see that your daughter has the time of her life. Here are some guidelines to help you along the way, so you don’t get too overwhelmed in the process. Decide on a date: Check your calendar and make sure that you can throw this party on a date that is convenient for everyone. Be mindful of the fact that the party does not have to be on your daughter’s actual birthday. It is a good idea to look at where holidays or other family events come into play as well. Choose the Banquet Hall or Venue: It’s all about location, location, location! Choosing the right space for your daughter’s sweet sixteen can be a daunting task to complete. It’s her special day, and she will want the venue to be fabulous! Be mindful of how many guests will be attending. Asking your daughter if she wants a smaller party, or something grand is a good way to start in the location selection process. Saving the Date: Since you’re still a few months away, it is always a safe move to send out save the date invites to your guests so everyone can plan on attending. Invitations: After you have set the date and the venue, now it is time to send out your sweet 16 invitations. Make sure you choose a festive design so your guests know that this is going to be a party they’ll never forget! Getting the finalized plans for your sweet 16 should start about six weeks before the date. Go through the following checklist to make sure everything is all set. Theme: A good theme party is always fun. You will want this party to be something your daughter will remember forever, so get her input on what kind of creative theme she would like. Food: This is where the real meat and potatoes is, pun intended. Whether you are having a professional Long Island catering company provide food, or if the party is at your house and you are going the off premises catering route, the menu for the sweet 16 is super important. 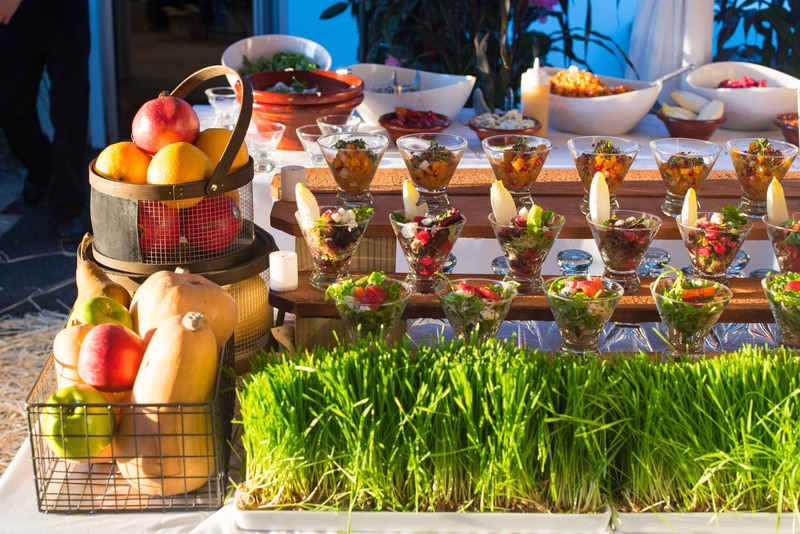 Event catering can get intricate, so be sure to go over all the details with your daughter. Music and Games: Sweet 16 parties are known for their awesome music and entertaining games. At this point you should have decided on a DJ to run the show. Make sure he knows all about your daughter’s fave tunes. Favors and Goodie Bags: Corporate catering companies can often help out with this one, so ask ahead! You can always supply some fun party favors, centerpieces, or goody bags as a fun keepsake of an amazing party. Whether it is catering a sweet 16, or wedding catering, the team at Prime Catering is here to help you throw the event of a lifetime! For any further tips on how you can wow your guests with an amazing event, contact us today!